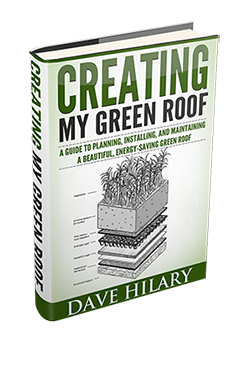 Green roofs help with heating and cooling costs, they make good use of rain water, and they prolong the life of a roof, but the return-on-investment over the roof’s lifetime is still unclear. This is largely because the studies that have been done don’t all focus on the same beneficial aspects and therefore come up with a range of results between a negative ROI and a positive one. The trend in assessing the true value of green roofs will definitely continue but it’s the standards, materials and processes used to build green roofs that are going to bring down the life cycle costs and address any safety concerns. On June 3, 2010 a new American National Standards Institute (ANSI) and Single Ply Roofing Industry (SPRI) standard was born that created a Wind Design Standard for Vegetative Roofing Systems. The effort was spearheaded by Kelly Luckett, president of Green Roof Blocks, and received consensus from more than 50 experts. The standard now goes for acceptance by the International Building Code (IBC). 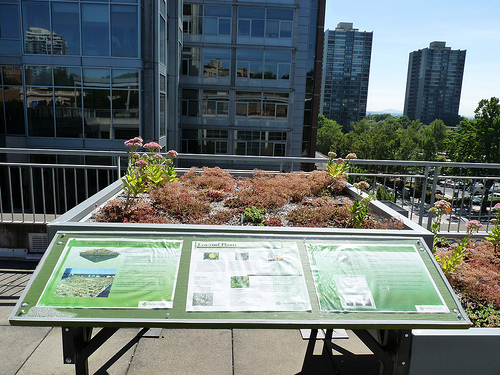 This effort came up because many people in the industry didn’t think there was enough attention being paid to the effects of wind on the plants that live on green roofs. Anytime plants have to be replaced because they dry out, or because they are uprooted from wind that’s another cost in the lifecycle of the roof. The standard (ANSI/SPRI RP-14) outlines minimum specifications so the effects of wind are taken into account as the roof is designed and built. In February of 2010 ANSI accepted the VF-1 Fire Design Guide for green roofs to help designers and installers minimize fire risks on green roofs. This standard has also been submitted to the IBC for acceptance. On the product side, more manufacturers are bringing modular systems to market so the growing medium, plants and in some cases the hydrology layer is integrated. These types of solutions help to keep the weight down, and in the long run help with costs and survivability. Metal roofing and sheet metal companies are jumping on the bandwagon and offering edging and drain components. Pre-planted modules continue gaining ground on roof tops since they fit ultra extensive, extensive and intensive green roofs. Engineered growing media is lighter weight and highly stable. The plants are already growing when they reach the roof and there are pavers, walkways, ponds, planter boxes and outdoor furniture that add functionality. The comment, “There’s no where for it to go but up,” is becoming a clearer and clearer trend. But more green roofing is just the beginning because green roof sizes are also increasing as technology and practices get more refined. The High Line, although not technically a green roof, is a mile long green walkway in New York City that used to be an elevated freight train rail line. It travels through the Meatpacking and Chelsea Districts offering a place for people to stroll, sit and enjoy views of the Hudson River. The green roof on the Burnside Gorge Community Centre on Vancouver Island in British Columbia is Canada’s largest green roof at more than 11,000 square feet, and the green roof on Target Center in Minneapolis is described as “one of the largest and most complex vegetative roofs in existence.” The roof covers more than 129,000 square feet and keeps about million gallons of water out of the city’s storm sewers each year. As green roofs continue evolving toward their next, most perfect state, the standards, materials and processes are going to define just how far they extend into the rooftop landscape. Image courtesy of Flickr user Alexaabboud under a Creative Commons license.